Microchip implants. A common term familiar to most pet and animal lovers. This technology has helped many owners reunite with their lost pets by giving each one a unique identification number. Lost pets cost charities and authorities £33 million per year to return pets to their owners, therefore, according to the utility principle, it could be considered unethical to not microchip pets . This reasoning has resulted in a UK law which mandates all dogs to be microchipped. It is unsurprising that this technology will eventually be extended to human use. In fact, this is happening right now. A Swedish company is offering microchip implants to replace bulky keys and access cards. The chips are quickly and painlessly injected into the employee’s hand between the thumb and index finger, allowing them to open doors with the wave of a hand. If you love the idea of microchip implants, there’s good news. BioTeq offers implants that cost from £30. While this is a far cry from a government mandate, remember that microchips for pets were available many years before it became a legal requirement. So If the Government adopted microchip implants, what would it be used for? Like with animals, implants could replace identification methods like passport or driver license. Many travellers now use ePassport gates, where biometric data is stored in an RFID chip on the passport, it is only a small jump to imagine this data instead being stored on an implanted chip, and never worry about losing your passport on the beach again. Further building on the convenience, it is possible to see that microchip could replace contactless cards, making it quicker and easier to pay for items at the supermarket. Judging from a utilitarian perspective, the consequence will result in greater convenience for the populous and a minor inconvenience for the cost and implant procedure. One might argue that by implementing a compulsory implant policy, by the Government, would violate the no harm principle as the citizens are being forced to use implants. However, such a system is a like for like replacement of existing systems for allowing citizens access to travel and services with the great potential for streamlining of systems. Rather than periodically sending off passports and driving licences for renewal, the new data could be written to the chip in seconds. Microchips have the potential to store medical records, replacing the current system of paper records with your GP, and information on the implant. For example, doctors could scan your chip for your blood type for a blood transfusion if you are involved in a life-threatening accident. This would have great life-saving potential and truly put patients in control of their own data. With advancing technology this could be further expanded; chips could be given extra sensors to monitor the patient’s health to aid diagnostics and early detection of illness or even automatically calling an ambulance in an emergency. Using the Kantian ethics framework and the reciprocity principle, it’s clear that microchip implants are approved as it’s aim is to save the life of the implantee. Every parent fears losing their child. Wearable GPS trackers exist aims to give parents peace of mind when they can’t see their child. However, these products feature one critical flaw. They can be removed. What would happen if a child accidentally loses the device or an abductor removes the device? This is where the possibility of implanted GPS comes in. With the existence of implantable transceiver. It is not such a stretch to imagine implantable GPS. While implanting your child may seem dubious at best. It is the parents’ duty to protect their child, and therefore act towards this maxim. 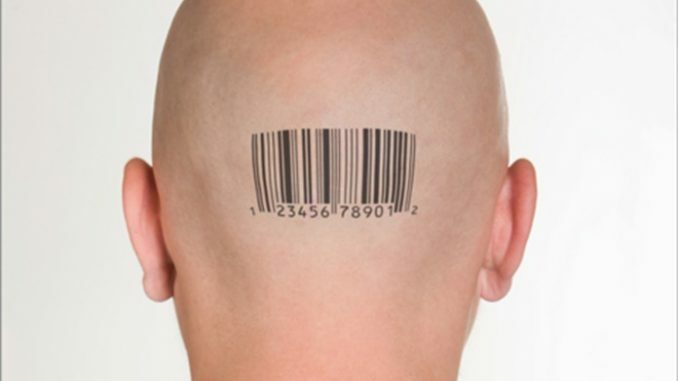 With RFID chips responding to anyone’s request for their uniquely identifiable number, is this really any better than tattooing if to your head? As with the adoption of any new technology, government mandated human microchipping would almost certainly have its downsides. With high powered RFID readers placed throughout towns and cities, the government and police would be able to detect and store information about citizen’s movements, the places they visit and how long they stay there. While this tracking would not provide the accuracy that GPS or mobile phones usually offer, removing a microchip to conduct business in private would be much harder, if not impossible. Anyone from journalists and their protected sources, to people involved in extra-marital affairs could be linked as being in the same place at the same time, with this then being later used against them. It could be argued that in the name of ‘state consequentialism’, such tracking and mass surveillance would be of benefit to society in pursuing criminals or reducing anti-social behaviour. However, doing so would harm the individual. From an utilitarianism point of view, consequences of implementing chips can adversely affect happiness. Even if not physically evident, the mental toll of your every move being watched is likely to suppress individual expression. Increasingly trusting the RFID chip as proof of a person’s identity could lead to the creation of a new black market. In the search of a ‘clean’ microchip, criminals could take to cloning or even forced removal of a person’s implant. Underage partygoers may take to stealing someone’s identity to be able to get into clubs; burglars may clone a target’s chip and then be able to open their smart door lock, or even drive off in their car. In this case, utilitarianism demonstrates that RFID implants would likely bring an overall benefit to society. However, doing so would also bring increased harm to individuals, with targeted crime likely to rise. Is the trade-off worth it? With RFID microchips responding to any request for their unique number, it would not only be the government that could use the chip for tracking. It is widely believed that supermarkets already use CCTV alongside mobile phone and Bluetooth tracking to follow customers through their store. Adding RFID tracking into the mix would give an almost infallible record of what aisles a person walked down, how long they spent looking at and deliberating over a special offer. Even taking measures to avoid tracking such as paying with cash and not using loyalty cards, stores would be able to build up shadow profiles on shoppers and their purchasing habits. Informing advertising, product placement and pricing, even going so far as to specifically target individuals. This egoistic approach, while benefiting the corporations and their own financial interests, has a negative effect on the individual; such as being coerced into spending more than they can afford with targeted advertising. After reviewing these points, we believe that governments should not microchip citizens. I agree with the initial decision. Implanting a GPS into a child may be for good intentions, however I believe that there will be significant strain on the relationship between the mother and child, especially when teenagers start to seek their independence. It may also increase anxiety for the parent as they may become obsessed with tracking their child’s location and may never learn to trust them. However, I think having medical records stored on an implant could be lifesaving as it allows paramedics to check for potential allergies and blood type on site and act accordingly. I disagree with the initial conclusion. It seems that most of the disadvantaged are centred around the lack of trust with the government and existing institution. I will admit that criminal activity is a valid concern, you don’t ban a technology or policy simply because of criminals. As an example, guns are available but require a background check which helps limits criminal access to guns. The point you raise about excessive tracking undermining the development of trust in the parent-child relationship is very interesting. I agree with your point about the potential live saving potential of medical records being implanted. A good compromise might be voluntary implants for very specific things. Considering the recent trends towards convenience and digitalisation, I could easily see RFID chips becoming the norm. I never though something like Apple Pay would ever take off, but it has become hugely successful. The fact the chips could incorporate so much more than just paying for groceries means the pure convenience they provide would be suitable justification for some people. However, I don’t quite see them becoming government policy any time soon, especially until solutions have been found for some of the the potential risks you’ve mentioned. If the technology remains exploitable, you can bet people will exploit it for their own benefits. I can see the benefits from a convenience and waste point of view. We could create much less waste by having passports and credit cards on a chip. However, I do feel that with the current state of politics, especially in a few specific countries, this would be used for fear-mongering and control, rather than the positive benefits possible. Definitely a lot of food for thought. Have you considered the application of this technology if heavily regulated by government ? For example, it could be made mandatory that all chips can only use very short range wireless technology e.g. nfc to avoid tracking, or can only store medical details, making them less of a target for theft. This could reduce the worries of identity theft and constant surveillance, with the associated mental benefits. If it were to go as far as the article explains, I agree it should not be implemented. However with heavy regulation, and limits placed on applications, I can see it being a more acceptable idea. Very much agree with the initial decision. While it’s clear that microchip implants would make life more simple by removing the need for a wallet, ID, car keys and whatever else, the choice should ultimately be left for the individual. Consolidating all this information into a single chip is very risky in light of potential hacks or even a simple forced physical removal of the chip. Additionally, the idea of being tracked all the time seems very restrictive and uncomfortable. I agree with the final statement of the author. The fact of binding people permanently with some labels may bring very serious moral implications. This may undermine the idea of every human being having intrinsic value, that serves as a basis for most of the legal systems. Right to property, right to life and other principal laws are based on those ideas and they are cornerstones of both Common law and Roman law legal systems. This could also severe the problem of identity theft, slightly like in Minority Report. The ethical reasoning for and against is somewhat hidden in the other considerations. Although understandable, given the technology’s readiness and the applications in which it could be mis/used, you do need to bring the ethical reasoning further forward. You’ve considered utilitarianism and Kant’s theory, have a look at virtue ethics too.